This is a quick little project that can be made with off-cuts of a clear PVC (vinyl) tablecloth. 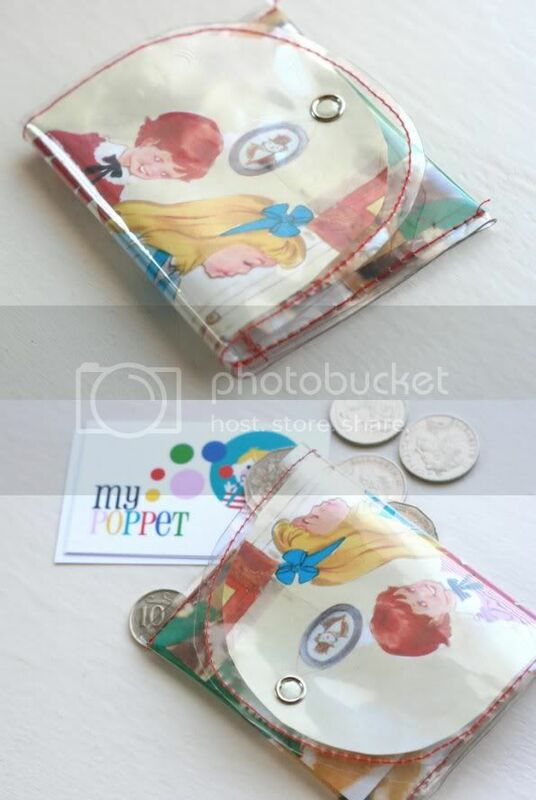 A pretty and practical little coin purse that is ideal for spare change and business cards. It would make a great gift or party favour. 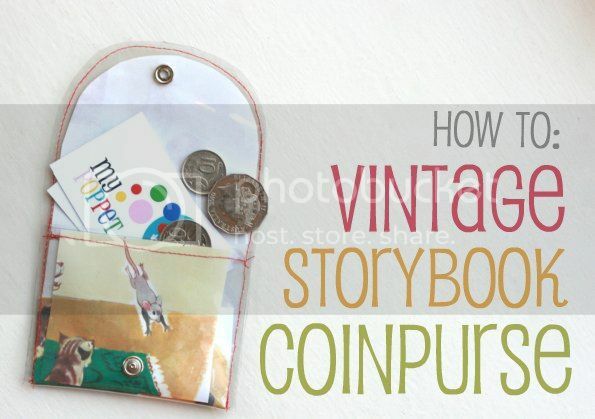 -A scanned and printed image out of a vintage story book. I've just used normal office paper to print on, some pretty gift wrap or piece of fabric would work well too. Cut out your pieces of PVC using the measurements as a guide. Round the top corners. Both pieces should be exactly the same. 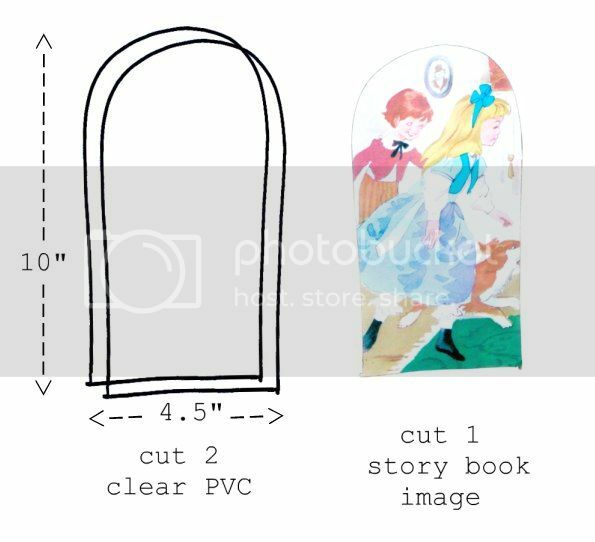 Cut out your illustrated paper about the same shape but a little smaller (1/4 inch or 0.5cm on each edge). a. Sandwich your paper in between the 2 pieces of PVC and fold the bottom third up as pictured. 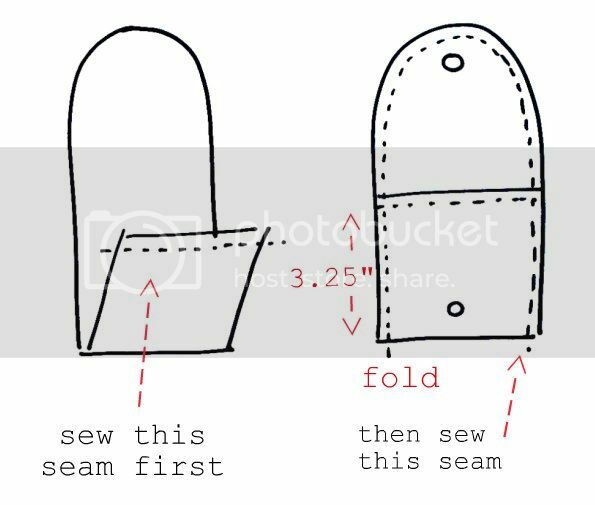 Sew the top seam. b. Now sew the side seam right around and back down the other side. or use adhesive velcro dots instead. 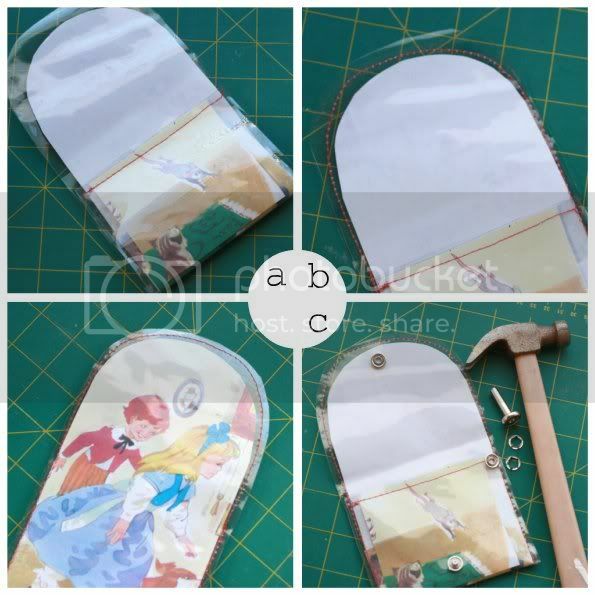 Some hints on sewing with PVC - A walking foot or teflon foot helps. Sew slowly, you may need to turn the flywheel by hand to start and finish. If you have any extra hints, feel free to leave them in the comments. All done! Make one for yourself and a few for your friends.